The girls loved this craft and when I came home, my six- and nine-year-olds made their own, too! These would be fun for Primary kids or Activity Days girls as well as for Young Women to make for their dads . I got the idea for these boutonnieres from Pinterest which took me to Little Miss Suzy Q’s blog. On the blog, they used Sugar Daddy candy pops, but since I couldn’t find any Sugar Daddy pops in the right size, I changed the project a bit by using a Tootsie Pop and created a “I’m so glad you’re my pop! Happy Father’s Day!” tag to go with them. 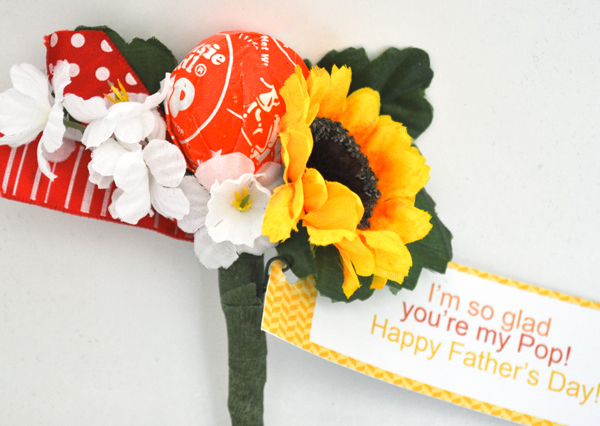 Gather three sprigs of flowers, a Tootsie Pop, a three- to four-inch piece of ribbon and an “I’m so glad you’re my pop!” tag. Cut florists wire into five-inch pieces. You will need two of these five-inch pieces for each boutonniere. 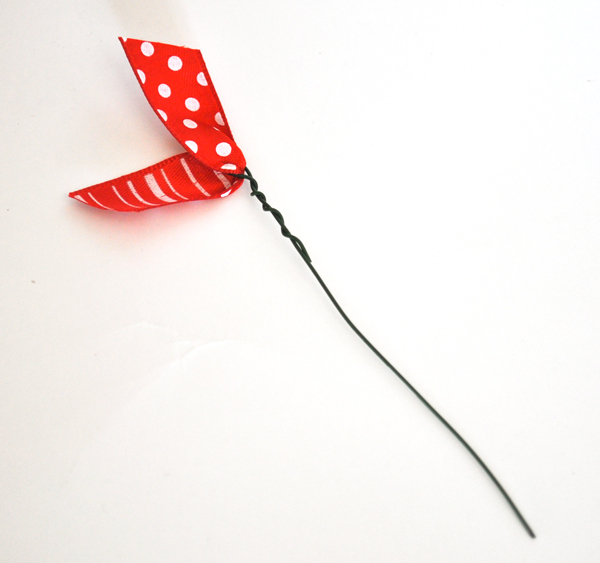 Fold ribbon in half lengthwise and attach to one piece of florists wire. Punch a hole in the tag and attach to another piece of florists wire. 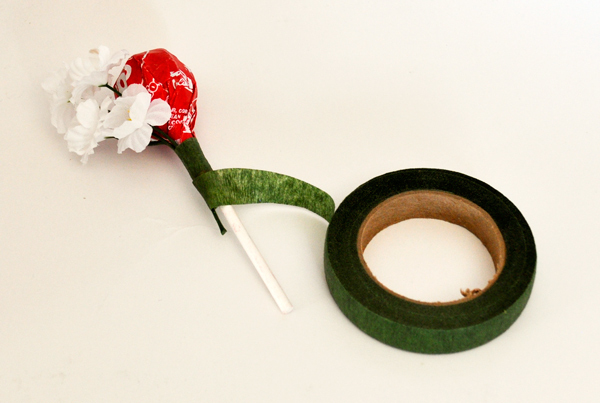 While holding the Tootsie Pop and one sprig of flowers together, wind the florists tape (stretching slightly as you go) around both the Tootsie Pop stick and stem of the flower sprig to hold them together. After you’ve would the tape around several times, add in another flower sprig and wind it in with tape as well. Continue with the third sprig, ribbon on wire and tag on wire. Wrap everything in tightly and completely, covering entire stick. Tear tape off when you’re done. 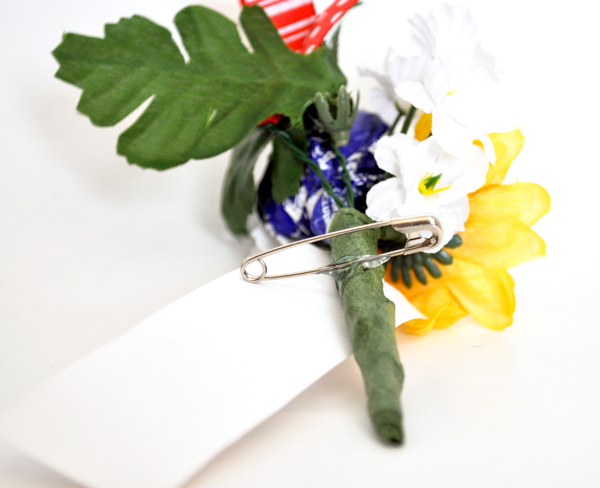 Using a hot glue gun, glue one side of a safety pin to the back of the boutonniere, leaving the opening part free so it can be used to pin the boutonniere to a lapel. This craft is fun and easy! Here are the “I’m so glad you’re my pop!” tags I made for our boutonnieres. 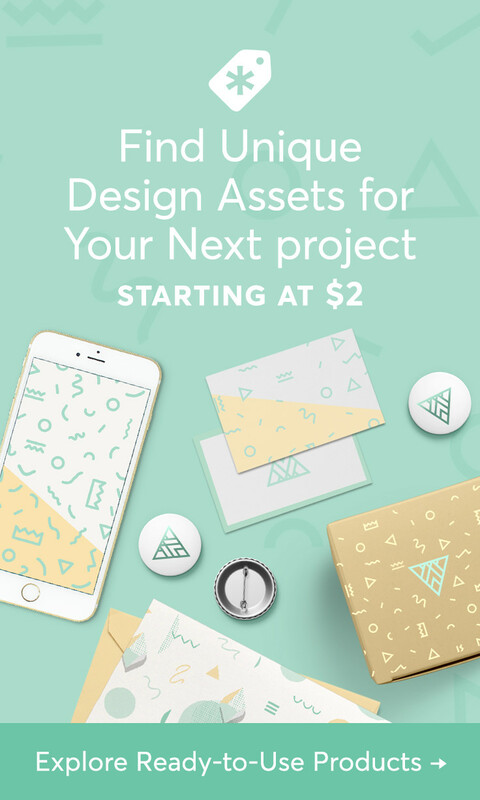 The download includes a ready-to-print .pdf file with a full page of tags for your home printer and a high-quality 300 dpi 8×10-inch .jpeg file which can be uploaded to a photo printer as an 8×10-inch photo. It also is a full sheet of tags. Simply cut apart the tags from the photo print. Download my “I’m so glad you’re my Pop! 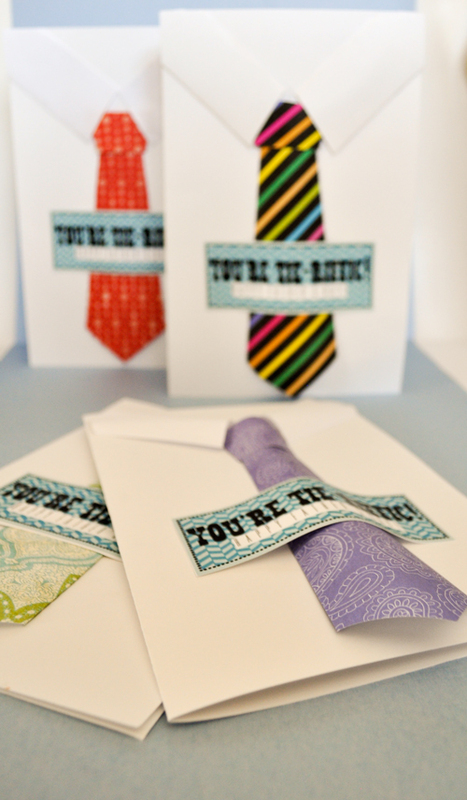 Happy Father’s Day!” tags by clicking here. Remember, please DO NOT share my files in any way! 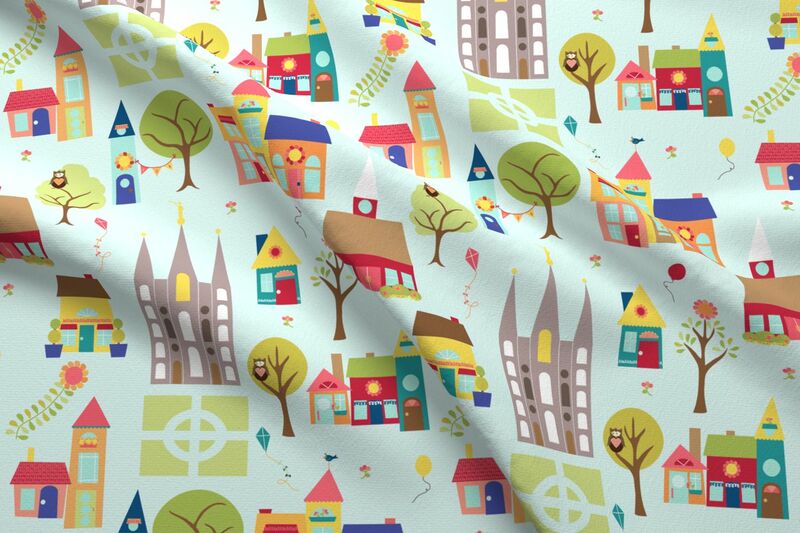 All of my files are for non-commercial personal or church use only. 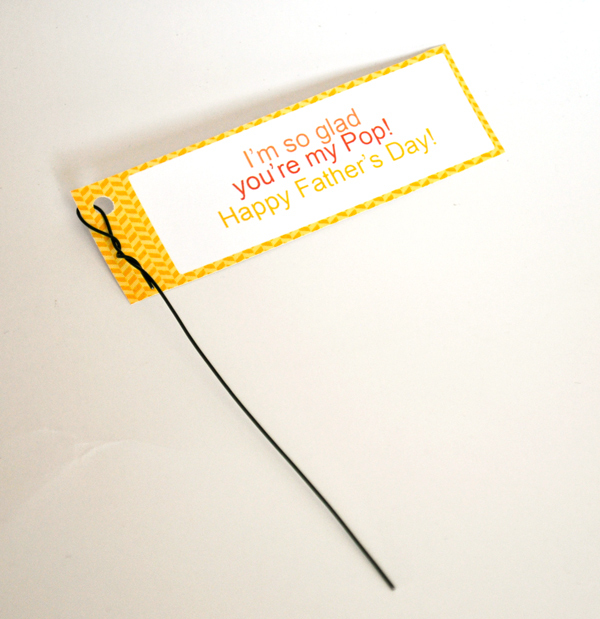 Watch for my next post with instructions for making this Father’s Day card! These turned out so cute! I love the Tootsie Pop. Thanks for linking back to my post. You’re welcome! Thanks for the idea!